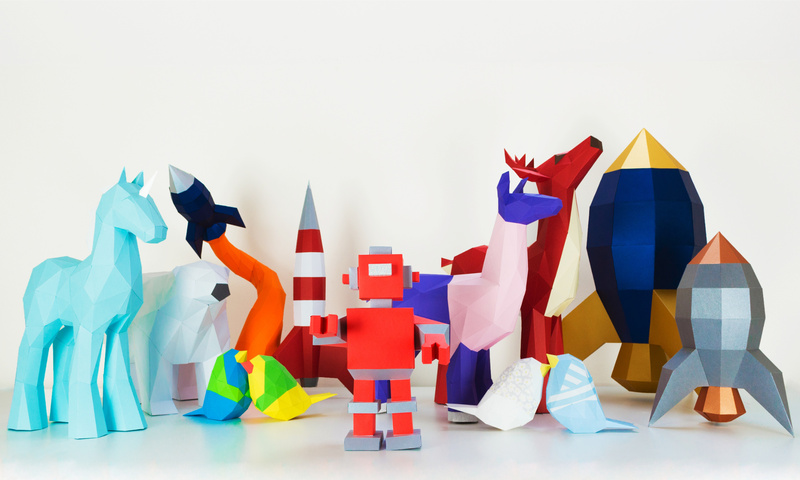 Creating a low poly 3D papercraft from a downloadable template is a nice relaxing way to while away a few hours and by the end you’ll have a cool paper sculpture to display. 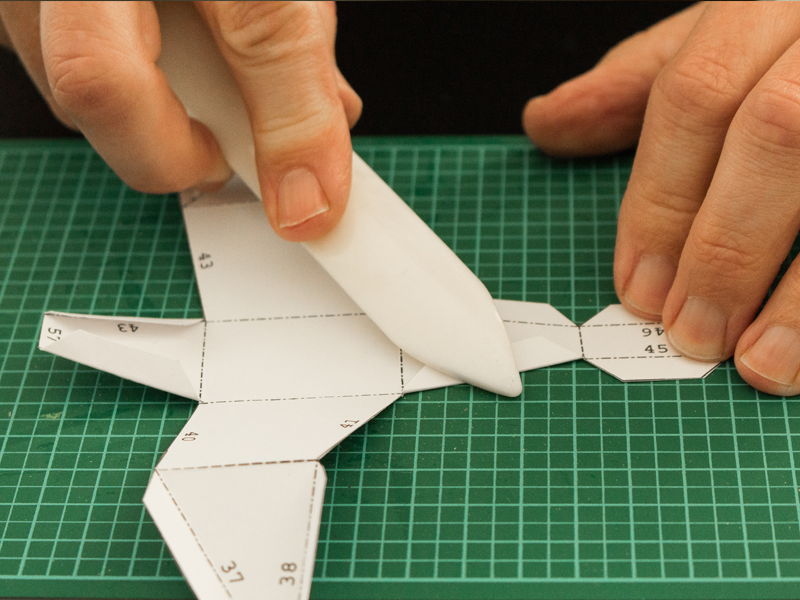 If you want to get a real sharp geometric look to your papercrafts, you should pay attention to just how fine the folds you are making really are. Luckily there is a simple and inexpensive tool designed to help you get the best out of your papercraft template, it is called a bone folder. A bone folder is essentially a smooth and flat stick made from a hard material; usually they are shaped to a slight point at one end. They are designed to help crease paper or card. Bone folders were once an everyday tool of anyone who had to write out letters and documents by hand on the thick and stiff paper of yesteryear. Nowadays bone folders are more of a hobbyist’s tool and are especially important for making greetings cards, bookbinding and origami and other papercrafts. Bone folders are needed because the fibrous cellulose structure of paper or card can resist being sharply folded. The fibres in a sheet of paper are relatively inflexible and do not want to be bent. Making a sharp paper fold means you need to bend, stretch and even break the fibres along the crease. When you think of how much permanent damage to the structure of the paper is needed to make a crease, you see why it is impossible to uncrease folded paper. To make a nice crisp fold, score the paper along the fold line to bend and break the cellulose fibre. You can use the pointed end of the bone folder for this, but I prefer to use the back of a craft knife blade. Once you have done this fold the paper along the scored line and force the paper into a sharp crease by applying significant pressure by pushing down on the bone folder as you run it along the fold. The result should be a beautiful knife-edged fold. Making a sharp crease with a bone folder. Traditionally bone folders were made from cow or deer bone, ivory or horn. These days they can still be made from cow bone but as not everyone wants to use animal derived products, I am happy to say they are also available in plastic or more recently Teflon. WHAT IF I DON’T HAVE A BONE FOLDER? If don’t own a bone folder, you can try using a substitute like metal scissor handles to flatten your creases. Whatever you use make sure it doesn’t mark the paper. If you enjoy papercrafts I sure you will eventually invest in at least one bone folder, there’s something about them that makes them just feel good in your hand! Tell me about your experiences with bone folders. Are they essential or have you an alternate way of getting a super-sharp crease? Please drop a comment and let me know!